I don’t know about you, but when I love a product, I tend to talk about it. (sometimes a little too much!) Evernote is one of those products. I’ve talked it up enough that more than a few people have asked me what it is & how they should use it, which gives me a good reason to write a post about it. Digital files - pdf, doc, xls, etc. Everything you put into Evernote is readily available on every device you own, as well as any computer (or any other device) with an internet connection. It’s totally platform independent. This means anything you note, capture, or edit on any of these devices will be automatically sync’d up with all your other devices, ready to be retrieved or edited from wherever you are & whatever device you’re using. World class searching, including searching handwritten & typed text in photos and scanned files. Notebooks and Notebook Stacks. Stacks are like file cabinet drawers (or stacks of file folders), and Notebooks are like file folders. Each note can only be in one notebook, like each piece of paper can only be in one file folder. You can have multiple notebooks in a stack. People who are good with filing systems - paper or digital - will probably gravitate towards this system. Suppose you had a Notebook Stack called Vacation, which contained Notebooks for San Diego, Colorado, Florida, and New York. Information for your trip to San Diego would go in your San Diego notebook. Tags. Tags are like labels. Each note can have an unlimited number of tags. In addition, Tags can be organized into a file-tree for those who want to organize groups of tags together – this makes it visually easier to find a tag or tag group on the screen. 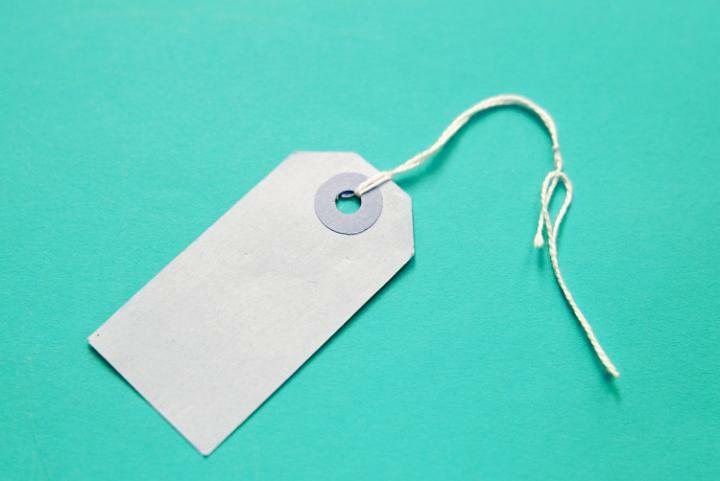 People who prefer a little less structure, or those who are used to using labels extensively, will most likely gravitate towards tags. Search by Key Words. Since Evernote's search capabilities are so good, some people just put their notes into a "big digital pile", but they can search for a particular word or phrase to find the note they want. Information for your trip to San Diego is just put into Evernote. You could find it by searching for San Diego, or San Diego Restaurant, or Sea World, or whatever makes sense for whatever you are looking for. Because it can be a bit overwhelming to think about what goes into Evernote, or making a switch from where you are today to going paperless, or anything drastic like that, I recommend you start with 1 thing, and add other uses as you get comfortable with it. She would get behind & end up with a stack of printouts, then have to stay up late one night to type them all out. She would get a new computer, and if everything wasn't backed up perfectly, she would lose her digital copy. She would be at the store, or at her mom's house, and wouldn't have the ingredient list for a particular dish with her. Using Evernote has solved all 3 problems. Now she can type them up, clip the web page directly into Evernote, or take a picture of a magazine page with her cell phone, and the recipe is stored – permanently and easily searchable-sharable-readable. She tags the recipes as needed - chicken, main dish, dessert, appetizer, gfcf, etc., so she can quickly search for whatever type of dish she's looking for. She also has them wherever she goes - home computer, smart phone, mom's computer, wherever there's an internet connection. By doing this, she’s become more familiar with Evernote as an application – how to put stuff in, how to find it later, and how it all shows up wherever she needs it to be. That makes it a lot easier to start using it for other things, too. web research – Evernote is awesome here. Screen clippings save exact images from your screen. Web clippings copy web pages and include the url they were copied from. And you can add as many notes about it as you need to. plan a vacation – maps, hotel information, restaurants and entertainment ideas, flight info, contacts in the area. client notes – housing likes and dislikes, neighborhood criteria, photos, notes about homes you’ve shown them, mls search results, alternative contact information, frequently reviewed emails, etc. receipts – take a picture of a receipt with your phone, and Evernote will read the text for searching later. hobbies – Evernote can become a collection of notes, projects, history, ideas. blogging! – Jot down an idea (typed or voicenote) wherever it comes to you. Write rough draft posts in. Clip articles and images to be used later. journal – an easy way to write up your daily thoughts throughout the day, from whichever device or wherever you are. add more ideas as you get comfortable with it! In part 2 I'll write about how I use Evernote - how I organize it and some specific ways I use it to be more efficient. For those of you who want to know more about it – security, sharing notes, bandwidth limitations, free vs premium, etc., there’s been more written than you have time to read! Start by reviewing the evernote website, then try one of the 61,400,000 results that returned in my Google search for Evernote. Anyone out there already using Evernote? Please chime in on anything I might have missed..
** Update 9/28/11 - Link Here to Evernote Part 2 - How I Organize and My 10 Best Uses. Sometimes a single neighborhood can act as a microcosm for the city as a whole. Yes, this is contrary to my normal disclaimer about market conditions varying greatly from city to city and neighborhood to neighborhood. But hear me out.. Pleasant Valley is a medium sized subdivision in the northwest valley. I’d call it upper-middle class; the kind of homes which feel like luxury to those who aren’t used to such things, but which the truly affluent would turn their nose up at. Spacious homes (2,800 – 4,500 sqft), large lots, and the surrounding by mountain views help keep the neighborhood a desirable place to live. The subdivision was built out in the early to mid 2000’s, far enough away from the hustle & bustle to feel tranquil, yet only a few minutes away from amenities and infrastructure. Some homeowners bought before the price run-ups in 2004-2006. Most homeowners bought during the boom years. Prices went through the roof and have since been decimated. Many people lost their home. Let’s take a look at Pleasant Valley in detail, through the ups and downs, and see if we can extrapolate any information for the greater Phoenix area at large. The red line (# of sales) shows us an obvious seasonality – sales peak in Q2 and Q3, then dip in Q4 and Q1. This is true of Maricopa County as a whole, although it’s more pronounced in Pleasant Valley. But unlike Maricopa County, this also shows us an upward trend through the boom and bust years. (I placed a marker on the chart to represent April, 2011 * 3, since the Q2 number is falsely shown as one month.) 2009 was a big sales year for the county, but it was not 50% bigger than 2005. The blue line mirrors Maricopa County much more closely – a price run-up of about 150% from 2003 into 2006, then a slow decline through 2007, then a sharp drop-off in 2008. Prices today are slightly less than they were in 2003. Now let’s take a look at distressed activity. MLS didn’t always require sellers to identify short sales and lender-owned property, so I’m using occupancy for the chart below. Again the trend is similar to, but not exactly like, Maricopa County as a whole. More owner occupied sales early in the decade. More vacant sales in 2008 and 2009. Fairly even in 2010 and 2011. Hmmm. OK – so even though the owner occupied and vacant sales numbers were about even over the last couple of years, the owner occupied sales are heavily weighted with short sales. In 2010, there were 24 distressed sales compared with 10 non-distressed. And in Q1 2011 the numbers were 7 to 1 – wow! These are the homes which have sold since 1/1/2011. 12 sales in the last 120 days, an average of 3 sales per month. Avg CDOM (Cumulative Days On Market) hovers around 2 months. Avg Sold Price is very close to Avg List price – no big discounting going on recently. 7 Pending Sales – these are homes which have negotiated through the contract and are heading towards closing. 8 Active With Contingencies – these are homes which have offers on them but which are still negotiating &/or looking for backup offers. 28 homes have been available for sale this year. 27 homes have been bought. 1 home remains available – the one asking $200,000 above market price. So now I ask – is it really a buyers’ market? Kind of, but not really. If you wanted to buy a home in Pleasant Valley today, I can’t take you over there, show you all the available inventory, and ask you to take your pick of the litter – and then advise you to make a low-ball offer to some desperate seller. Not possible. (and not advisable). But it’s not a sellers’ market either. Even though there are more buyers than sellers right now, sellers aren’t afforded the luxury of padding their price. The market is ruthlessly efficient right now; buyers will bid against each other for properties priced fairly, but will demand discounts from homes which are overpriced. This is true for most of Phoenix right now. Buyers can get great homes at great prices, but only when you compare those prices in a big-picture, historical context. Getting into Pleasant Valley at prices less than what the builder originally sold them for – that’s awesome! But don’t think you can walk into any listing and offer 70% of their asking price – not gonna happen. Sellers can unload a home in a matter of days, if it’s in good condition and priced aggressively. In fact, they might even start a bidding war among multiple buyers. But don’t think it’s a sellers’ market and you can ask 5% more than the last home sold for – that’s not gonna happen either. We’re in a strange market right now. It’s been this way for quite awhile, and it’ll be this way for longer than we’d like. Buyers get frustrated because they have to compete so hard to buy the home they really want. Sellers get frustrated because there are so many buyers, but none of them will pay what the seller really wants to receive. Buyers – plan on spending a little more than you expected. Sellers – plan on receiving a little less than you expected. Once we get realistic expectations in place, the market isn’t so bad – there are plenty of homes selling. No need to be frustrated, right? These numbers are staggering, and I’ve now seen them in 2 different sources. I recommend reading the entire article; the author does a good job of showing 2 different classes of Americans – the haves and the have-nots. The article goes on to outline several reasons why the growing disparity between the wealthy and the poor will ultimately be bad for the country as a whole. I grew up a staunch believer in big capitalism and small government – you work hard, you create value, you get rewarded. I’ve moderated over the years, becoming much more liberal, especially socially. But articles like these bring what we’re seeing and hearing from people we talk with out into the open. The have-nots ARE working hard, sometimes working 2 or 3 jobs, but they aren’t getting rewarded. The current system/environment, especially with its high unemployment, feels like a throwback to the times of the industrial revolution – “if you won’t do this hard work for this low pay, there are 100 people in line behind you who will.” Meanwhile the CEOs and land-owners are getting rich. Yes, it’s fair, and it’s the capitalism our county was founded on. But our country was also founded on fairness and equality – no unfair taxes just to line the King’s pockets, all men were created equal, and all that jazz. The current wealth gap is starting to breach these fundamental values. It's easy to make projections; it's a bit more difficult to make accurate projections. And far more projections are made than accurate projections. So why do we listen so intently to the experts' opinions, giving ourselves an emotional roller coaster, when they're probably no more likely to be right than you or me? Both the Bush Administration and the Congressional Budget Office project growing on-budget surpluses under current policy over the next decade. The most recent projections from OMB and CBO indicate that, if current policies remain in place, the total unified surplus will reach about $800 billion in fiscal year 2010, including an on-budget surplus of almost $500 billion. Moreover, the admittedly quite uncertain long-term budget exercises released by the CBO last October maintain an implicit on-budget surplus under baseline assumptions well past 2030 despite the budgetary pressures from the aging of the baby-boom generation, especially on the major health programs. These most recent projections, granted their tentativeness, nonetheless make clear that the highly desirable goal of paying off the federal debt is in reach and, indeed, would occur well before the end of the decade under baseline assumptions. With today's euphoria surrounding the surpluses, it is not difficult to imagine the hard-earned fiscal restraint developed in recent years rapidly dissipating. We need to resist those policies that could readily resurrect the deficits of the past and the fiscal imbalances that followed in their wake. Seems like congress listened to & believed the first part of Greenspan's projections, but the second part never got through. More importantly, if the top expert in the field - the one with more access to more information and resources than anyone else - can be so incredibly wrong in such a short time horizon, why do we bother to get wrapped up in so many projections? Thanks to the Calculated Risk blog for digging this one up. Are Property Taxes a Perpetual Liability? Economist Mish Shedlock published an email correspondence with a reader, where they discuss the concept of property taxes being similar to a mortgage you can never pay off. Imagine the perpetual loan, a loan that no matter what you do, you can never pay off. To help conceptualize the idea, think of it as a perpetual interest-only loan in which you are forbidden to completely pay off principal. As preposterous as that deal may sound, it is highly likely you are in one. If you own a house, you are in exactly that deal, except it conveniently not called interest. Instead it's called a property tax. It’s a thought provoking discussion, but I’m not sure they’re looking at all angles..
Property Taxes are just another option our government(s) have of raising the funds they need. If they don’t have property taxes, the funds will come from somewhere else, such as increases in sales or income taxes. In addition, they aren’t necessarily a penalty against homeowners, because renters live in a home which is still “owned”, even if by somebody else. What would happen if the local government decides to raise property taxes aggressively? 1) Property owners (landlords) pass this increase on in the form of higher rents. If this happens, nothing changes in the rent vs buy discussion, and the city/state gets their extra revenue. In normal times, outcome #1 is feasible. Today, I'm leaning towards #2. How safe is nuclear energy? I’ve never been wildly pro or anti nuclear energy, mostly because I’ve never spent the time to really understand it. But with the Palo Verde plant (the largest energy producer in the country!) in our own backyard, it’s something I’ve always wondered about. Today I saw a graph depicting the relative safety of various kinds of energy, and I have to say WOW! Click through to Seth Godin’s post on the topic, where he gives credit to additional sources and information. I’m not here to start political arguments, but to me this is just mind-boggling. The first thing I open when I turn on my computer (any of my computers), and the app I use most frequently on my phone. Evernote is advertised as being your second brain, and that’s not far off from the truth! It’s a place where you can store notes to yourself regarding any topic. Add in some web pages, screen clips, pdf files, photos, or any other file-type. Then make them extremely sortable, searchable, taggable, and easily shareable. And make them all readily available from any computer – completely in sync. It’s a WOW product, and yes – it’s free! The syncing is amazing – I have the exact same notes available from my laptop, my desktop, my phone, my wife’s laptop, and any other computer with internet access. Kids’ school projects – no more file cabinets filled with “stuff”! Family medical records – another file drawer emptied. Dozens of others – I have approx. 900 notes scattered across 5 notebook “stacks”, 50 notebooks, and 5 tags. Full disclosure – I used the free version for a few months before upgrading the the premium version ($45/yr), which offers more storage space, larger individual note size, and unlimited file-types can be uploaded. I used Quicken to organize my bank accounts since the mid-90s – first by manually entering every single receipt, then over the last couple of years downloading our account activity directly from Wells Fargo into Quicken. My banking activity is automatically populated into Mint – no more logging into wells.com to download my activity. Each expense is placed into the appropriate category (you can use Mint’s default categories or you can create your own, which I did.) I had to teach the program which category to use the first time an expense showed up, but after that it automatically puts the expense into the right category. And the one click charting/reporting is easy to read yet powerful. In summary, it’s free, it works well, it’s a faster way to keep track of something I was already doing, and it’s available from any computer (including my phone.) Yep, that’s a winner. I was the biggest Microsoft honk out there, so the switch to Google was not simple, nor was it quick. I’ve been slowly migrating since 2008, but now I’m all-in. I still have an Access database with all the MLS sales since 2000 in it, and I still have an Excel spreadsheet which pulls data from that database and then uses several pivot tables and pivot charts to sift through it all. But other than that all the documents I work on regularly have been converted or replaced. Gmail – easy to use, plays nice with others, easily taggable and searchable, and has the best spam filter I’ve ever seen. I use Outlook as a way to backup my email locally, just in case. But my gmail pulls all my other email addresses into one place. Calendar – I’m able to see my calendar, along with my wife’s and my business partner’s, all in one place (and on my phone), with changes or new appointments showing up in real time. Documents – word docs or spreadsheets, with almost all the functionality of MS Office. But they’re easily accessed from any computer, and they’re shareable with others, to the point where multiple people can be editing the same spreadsheet at the same time. And they’re easy to use from my phone! Reader – my rss reader, where I can easily scan through the dozens of blogs I read. Bookmarks – I bookmark my favorite websites using Google Bookmarks, so I have them available regardless of what computer I’m using. Picasa – my favorite photo-editing software. I still can’t believe this is free. Picasa Web Albums – my favorite way to share photos. Tasks, Blogger, Analytics, Fusion Tables, Alerts… and more! IGoogle – then I use IGoogle as my homepage, so I can see all of these items at a glance. It’s free, replaces things I was already using (or in some cases adding functionality I didn’t have before), and available from any computer including my phone. Another winner. It’s hard to get too excited about a backup service, but last month when Mozy raised their prices from $60/yr to $168/yr, I had to make a change! This might be a reach, because Android is an operating system and not a software application, but I can’t leave it off the list. I bought an HTC Incredible phone a couple of months ago, and I am absolutely blown away by it – to the point I wish my computer could be just like my phone! Over the last decade I’ve owned a Handspring Visor-phone, multiple Treos running both palm and windows os (the 600p, my first one, was my favorite), a Motorola Q, an older-generation Blackberry, a Blackberry Pearl, and a Blackberry Storm2. And this Incredible is like something else entirely – it’s like comparing an NFL team with the local high school football talent – different league entirely. When you’re ready for a new phone, you need to look at the HTC Evo 4G (Sprint) or HTC Thunderbolt 4G (Verizon) – both are bigger & better versions of my Incredible. You won’t be disappointed. I spend quite a bit of time in my car, and the radio gets awfully boring after awhile. I added a free podcast player to my phone and subscribed to a few podcasts covering a few different topics – sports, history, comedy, fitness, general knowledge. Now I listen to these podcasts more often than I listen to the radio. My podcast player automatically searches the podcasts I’ve subscribed to for new episodes at night while I’m sleeping, then it downloads any new episodes and cues them up for me to listen to the next day. It gives me more control over what I’m listening to, with the added bonus of being able to pause, rewind, and take it with me outside of the car. Full disclosure – I used the free version of BeyondPod for a couple of weeks, then I splurged $7 to buy the full-featured version. The RedBox app for iPhone and Android is pretty slick. You can search for a particular title, and the app will tell you which RedBox locations have that title available. You can then select a location and rent the movie right then & there, from your phone. Then, on the way home, you simply stop by the box and pick up your movie. You can also tell the app which location(s) are your favorites. Then you can ask the app to display which movies are available at your favorite locations. Or, you can have it use your phone’s GPS to display which movies are available at locations near you, wherever you happen to be! Hopefully this list helps you discover a better way to do something you’re already doing. What am I missing? What apps do you use to make your life better / easier? Taylor, Bean & Whitaker’s former Treasurer will enter a plea agreement for federal criminal charges tomorrow (Feb 24, 2011). The mortgage firm imploded in Fall 2009 and investigators are still sifting through the ashes. So far, they’ve discovered a trail of fraud amounting to as much as $2 billion. TBW’s Treasurer, Desiree Brown, is widely believed to be cooperating with prosecutors in their attempts to prosecute the mortgage firm’s former Chairperson, Lee Farkas, with 16 counts of conspiracy, securities fraud and bank fraud. While Brown and Farkas negotiate over how much prison time each is likely to do, former Countrywide financial CEO Angelo Mozilo will not face criminal charges at all, having paid off the right people paid a hefty civil fraud settlement of $67.5 million. People familiar with the federal criminal probe say that the general collapse in the mortgage market made it more difficult to pinpoint the actions of any particular executive as something that could be prosecuted. I wonder, can the authorities successfully “pinpoint the actions of any particular executive” only when the executives are women, or only when the executives don’t have $67.5 million under the couch cushions? Or did federal investigators just forget to read this book that spells out who caused the mortgage crisis? This is one of the funniest things I’ve seen in the Arizona Regional MLS in a long while. It’s in the Realtor-to-Realtor “private remarks” data field. Promise of response within 12 hours with a full price non-contingent offer. Okayfine… How random. Am I supposed to think that’s a good thing? Cranky me, I feel like testing them with a full price offer at 2 o’clock in the morning just to see if they can really reply that quickly. The listing is a condo in a North Phoenix resort community that shall remain nameless. <cough PointeTapatio cough> I might be just a little touchy about this because I live in the Pointe, but what really grabbed my attention in the first place was the price – $75,000 for a one-thousand square foot condo. Nothing wrong with that, it’s a decent price compared to the rest of the North Phoenix area. My problem with this price: the owners bought it on February 3, 2011 for $55,125. They relisted it yesterday, the 17th of February 2011 for $75,000. Know what the new owners did in the intervening 14 days? They painted. Man, that had to have been some expensive paint! Head’s up, fix and flippers… nobody’s paint job is worth $20,000. That’s a big “duh” and most of you will figure it out on your own. What you’re likely to miss because you see visions of $20,000 overnight profits dancing in your head is this: no buyer in their right mind is going to give you $75,000 for this condo when 14 days ago you paid $55,125. Plus there’s another bank-owned REO condo for sale 1 building over, in the same general condition for $53,000. Finally, your price point puts you squarely in cash purchaser land, and anybody who’s got $75k sitting around in cash had to be pretty dollar-savvy or they wouldn’t have accumulated that much. They’re smart, so they’re not going to be stupid enough to give you $20,000 extra just because you asked for it and promised to answer their offer within 12 hours. I’m a hard-core Arizona Wildcat fan. But as a parent of a non-verbal son with autism, I’m also very aware of how people and organizations treat others, particularly those whose first appearance doesn’t tell their whole story. Yesterday ESPN ran a story on the Villanova basketball program – turns out both the men’s and the women’s team-managers have special needs (cerebral palsy), and one of them is non-verbal. But this isn’t just a goodwill ploy, or a chance to make a student with special needs feel, well, special. This is a case where, looking past first appearances, they were able to find talented and dedicated students to help their basketball teams, who just happen to have disabilities. As of yesterday I’m a big Villanova fan – my second favorite team. But we should have known they were good – after all, they’re the Wildcats! The Calculated Risk Blog published a post using a number of charts to show & tell the economy’s story of 2010. Take a look at the blue line in this chart. Inventory (nationally) has been above 7 months (the balanced market number) since mid-2006, but it looks like the number might have peaked. We’re still in record territory, but it looks like we might have peaked. We’ll have to stay tuned to this one over the next couple of quarters. I’ve shared this graph before, but I still can’t get over how much worse this recession is than anything we’ve experienced since World War II. That being said, it looks like we’re heading in the right direction. Obviously things aren’t going to get back to “normal” overnight, but I like seeing the big picture heading in the right direction. I’ll work on some similar charts specific to Arizona to see how things compare locally. Truly Useful Technology – Beer Drinkers Rejoice! I don’t know about you, but for me the word technology brings up images of computers, cell phones, and other electronic gadgetry. But real technology is more useful than that. Real technology expands our civilization (cars & roads), powers our lives (energy), and wins wars (name your weapon here). Does this count as a truly useful technology? The company claims stadiums can go from eight beer pourers for every two cashiers, to one beer pourer for every eight cashiers. It might not change the world, but it should at least cut down on the lines at the Arizona Cardinals games, which makes the world a little better! Bank of America just posted a big loss. Bank of America, among many other things the #2 residential mortgage lender and #1 servicer, reported a second straight quarterly loss, driven by write-downs in the value of its mortgage business. See also my broker Jay Thompson, a.k.a. The Phoenix Real Estate Guy, wrote a blog post the other day, grouching about Chase’s earnings for the 4th Quarter. Chase earned a whopping $52 million per day in profit in the 4th quarter of 2010. Where you live. Where you work. Where you play. More ATMs than anyone else in the history of the world. OK, I made that last one up. But the point is, they’ve spent a busload of money to remind us how big they are. What happened to “too big to fail”? Did we all forget that saying already? It’s only been about a year and a half since we realized that some U.S. banks were so ginormous that if they failed the world would explode. And now, Bank of America’s entire billboard ad campaign is centered on the idea of “we’re so huge, you can’t escape us.” Doesn’t that make them too big to fail, by definition? Not paying your mortgage? Don’t worry, banks making money off you anyhow. There’s a ton of reasons; almost none of them make sense. But for about 2-3 years I’ve been adding this opinion to my list of reasons banks are slow to OK short sales. I believe that one of the many reasons banks are so slow to approve short sales is that while they stall, they can book the mortgage payments as an accounts receivable item, whether the homeowner is actually making the payments or not. The second the bank OKs a short sale, they have to book a giant loss. Again, only my opinion, but it passes the common sense test with everybody I’ve mentioned it to. [Due to loose accounting rules, banks are] allowed to accrue interest on non-performing mortgages” until the actual foreclosure takes place, which on average takes about 16 months. All the phantom interest that is not actually collected is booked as income until the actual act of foreclosure. As a result, many bank financial statements actually look much better than they actually are. At foreclosure all the phantom income comes off the books of the banks. This means that Bank of America, Citigroup, JP Morgan and Wells Fargo, among hundreds of other smaller institutions, can report interest due them, but not paid, on an estimated $1.4 trillion of face value mortgages on the 7 million homes that are in the process of being foreclosed. Ultimately, these banks face a potential loss of $1 trillion on nonperforming loans, suggests Madeleine Schnapp, director of macro-economic research at Trim-Tabs, an economic consulting firm 24.5% owned by Goldman Sachs. Astounding! The extent to which our entire financial system is built on castles in the air is staggering. Banks make money because they say they do. Our dollar bills have value because we all agree they do. I’m gonna go sit down now. My head hurts.